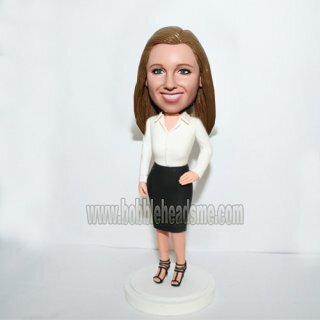 Wearing a white shirt,black skirt and high heel shoes, this female custom bobble dolls is a secretary. 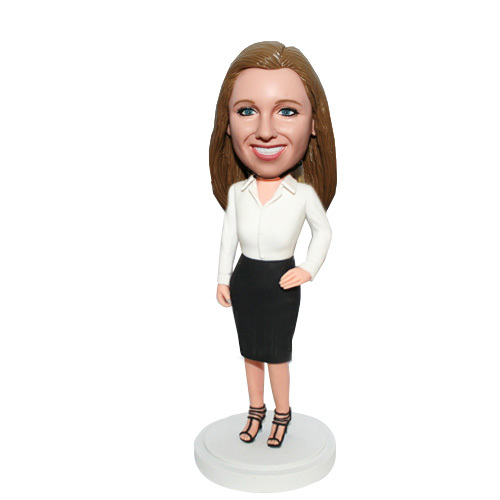 This customized bobblehead will make a female grin, for it's pure and beautiful. Wanna show how you appreciate her as a thoughtful secretary? 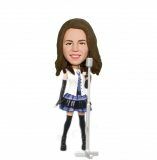 This bobble can be your wise choice.